I want to make an art journal by binding pages myself and using a vintage book cover but I just can't decide how I want to bind the pages...SO until I figure that out I thought I would start some pages, you know, work from the inside out. When I started this spread I had a totally different idea in mind. Isn't it funny how once you start putting your idea on paper it can make a complete 180??!? I started with mixed media paper and added some gesso. I also used Tattered Angels Glimmer Mist, Distress stain and markers, Faber Castell Aquarelle pencils, Prima stencil, mat gel, VLVS! 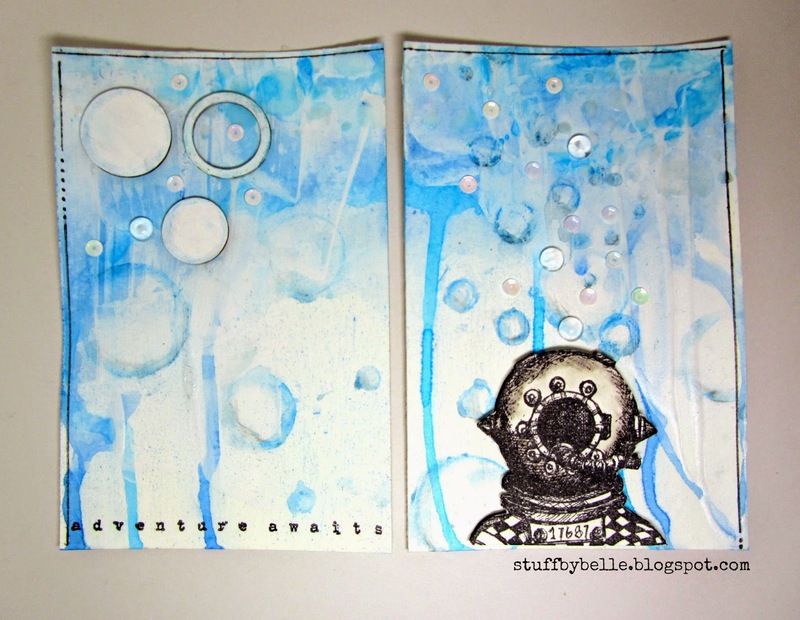 whimsical diver and adventure awaits, Um Wow Studio layered circles, sequins and floral beads. Cool right?? I am happy with how it worked out and I love the brightness of the blue!! This journal spread is also going to be my entry over at Words & Paintery. The October challenge, their first (! ), is up and the new creative teams is sharing some AWESOME inspiration!! Please make sure you check it out!! This is very cool! I also love the brightness of the blue! The blue is beautiful! Love the diver too! Wonderfully composed! Love your interpretation Of the Words & Paintery Challenge. Thanks for playing with us. Hi Michelle wow this is amazing - love the colour and the vintageDiver stamp : My husband collects oldvintage diving helmets and suits an actually takespeople diving1 Thanks for the link - and thanks for playing along with us at Words and Paintery Oct. 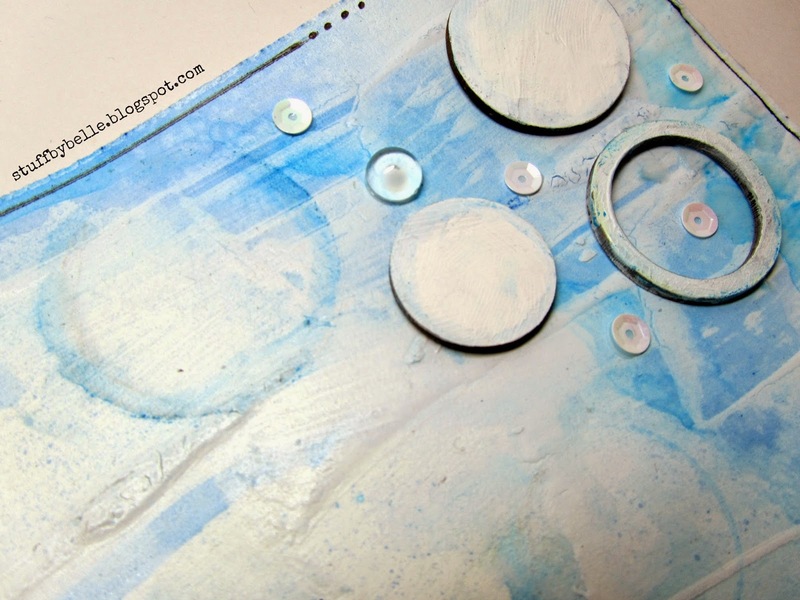 Awesome art journal pages! and yes, this is what so wonderful with mixed media - you have one idea in your mind, and then it gets it own direction once you start creating. Thank you for sharing it with us at Words & Paintery. Great page Michelle, I know how pages can turn out different, but I like that! It is a loose way of making something. Thank You for playing with us at Words &Paintery.